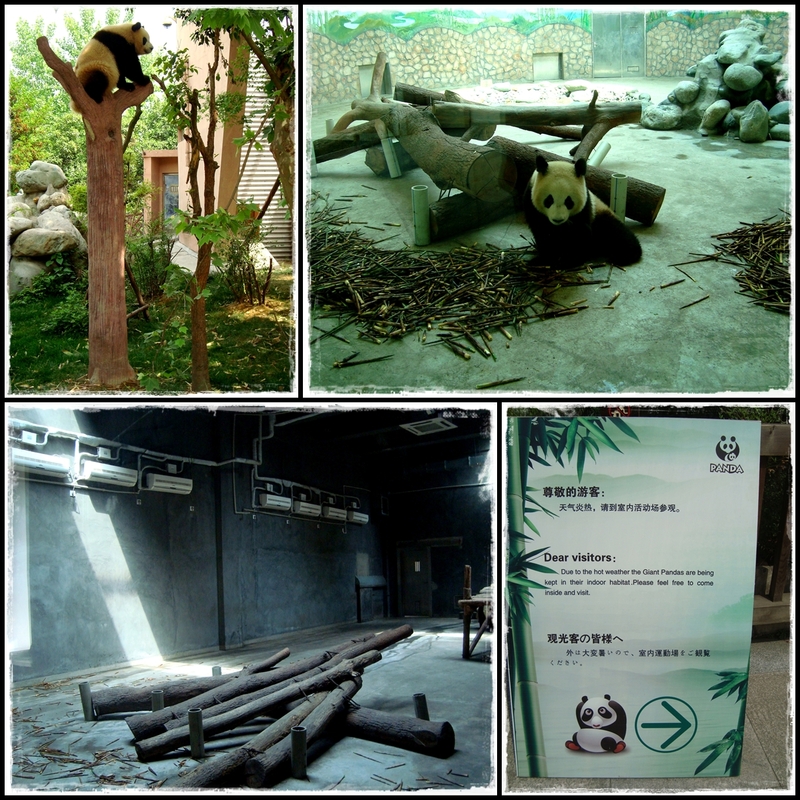 Apart from the 'special mission', we also made a trip to Chengdu to fully utilize our unpaid leave. 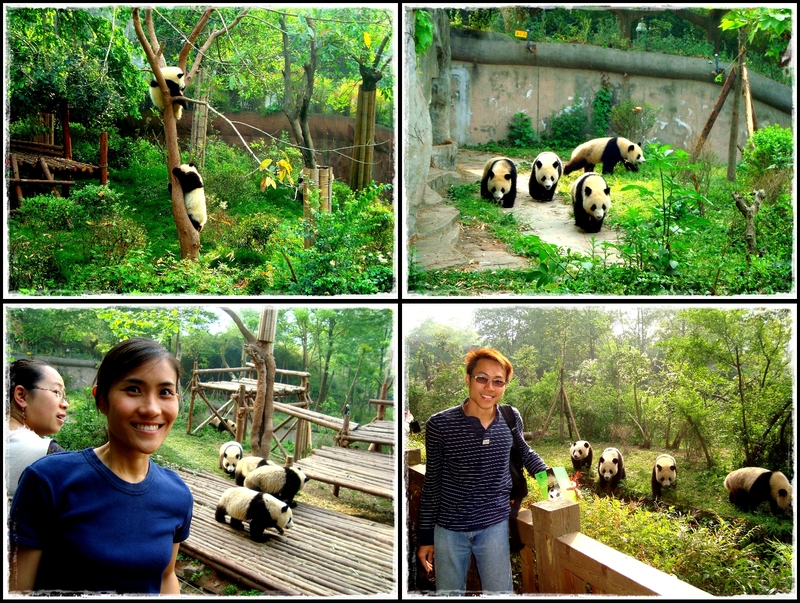 :p Of course, the biggest attraction in Chengdu is the pandas. 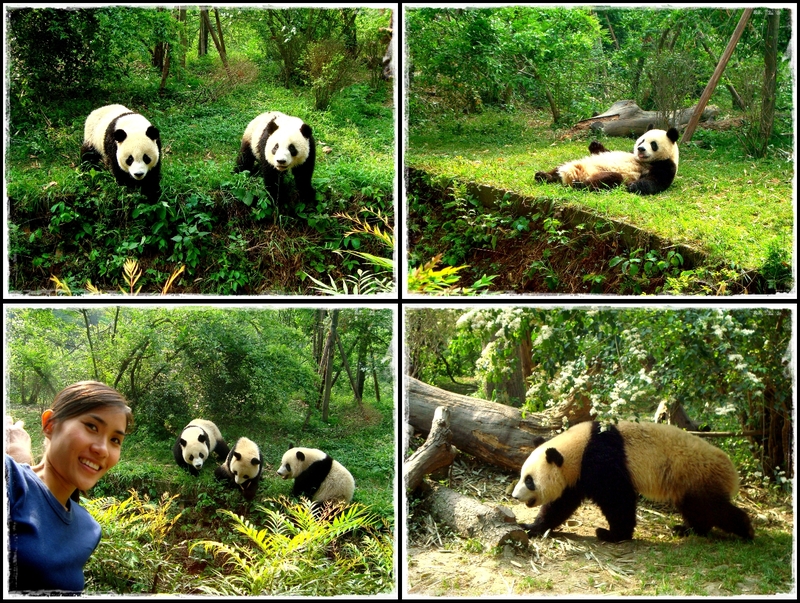 I've never seen real pandas so I was determined to meet my 'cute friend' this time around...lol!! Woke up early to ensure that we arrive in time to catch the pandas' breakfast time. Based on what we read online, this is the time of the day when the pandas are the most active. Fyi, pandas sleep a lotttt! Good morning...it's breakfast time!! These pandas are about 2 years old. Pandas are so clumsy, lazy and slow...I guess that's what make them cute...lol!! 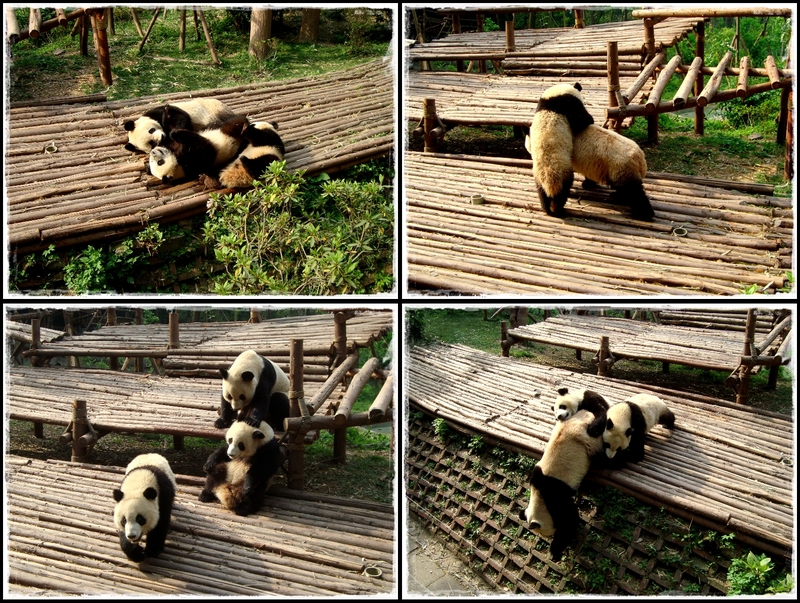 They would just roll around instead of walking and lay down instead of sit up to eat their bamboos. 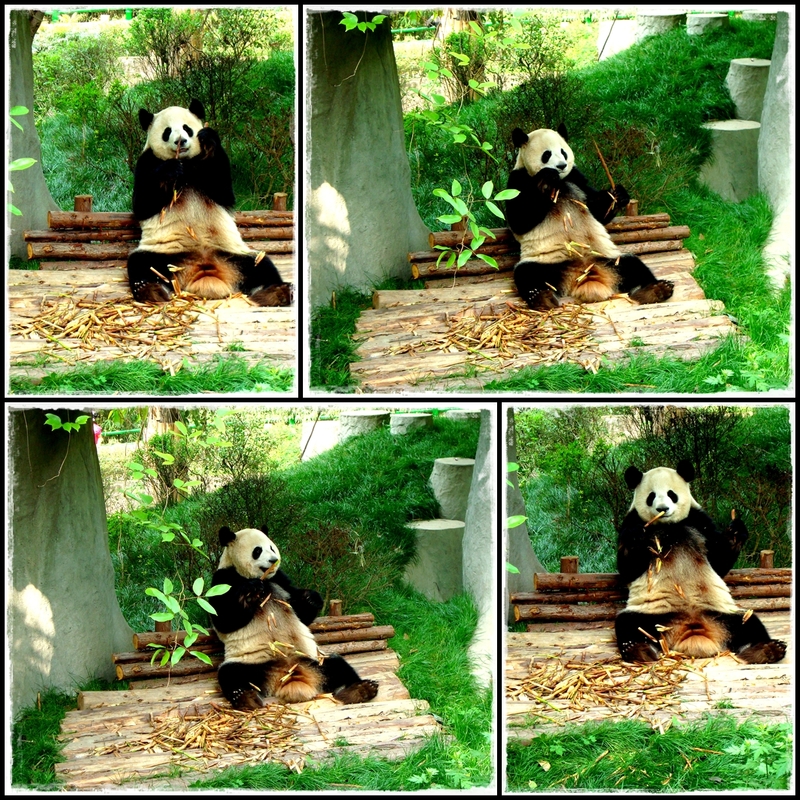 This panda was so comfortably sitting at that position for all the visitors to take pics. Awww...cuteeee!!! We could stand there for hours looking at these pandas...they are so cute no matter what they do...lol!! Pandas are the most spoilt animal in this world! Look at how many air-cons they use! These are red pandas...poor them coz most ppl are more interested in the giant pandas. The red panda on the left is kinda 'special'...no ears and tails. Initially we planned to spend the whole day at the panda place but it was getting hot so we decided to leave and visited Jinli Ancient Street before heading back to the hotel. Our 4-star hotel in Chengdu...罗曼大酒店. Met up with our friends in Chengdu, Rob & Jiajia for a quick tour. 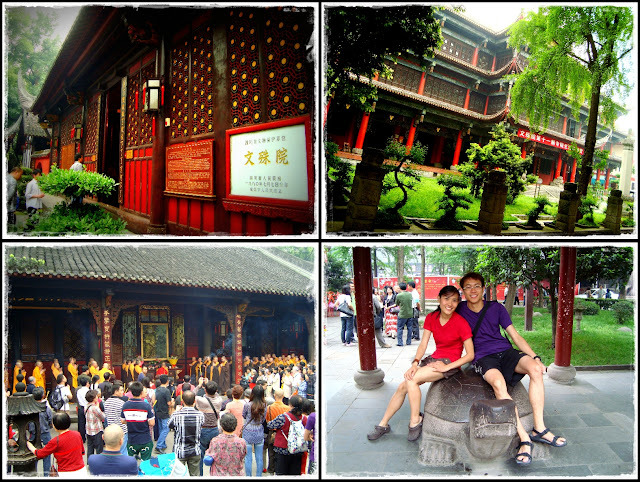 Our first stop: Wenshu Monastery. 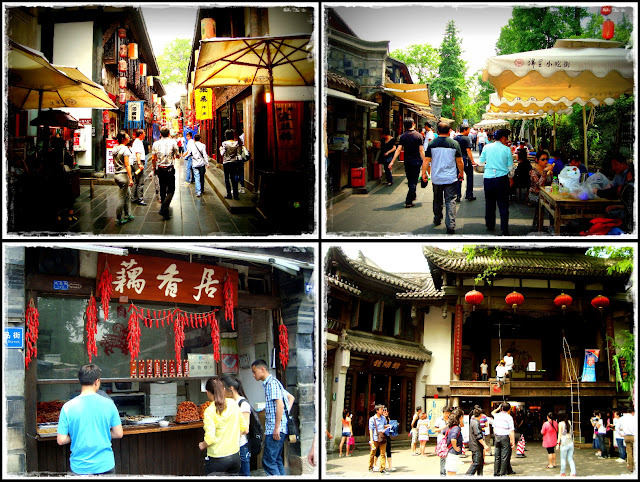 Sichuan dish is known for its spiciness so we visited this spice market. Absolutely overwhelmed by the amount of dried chillies there. Sichuan ppl put chillies in every dish...seriously! Both of 'em were really great hosts...brought us to this place that has a special combo with all the Sichuan local delicacies. 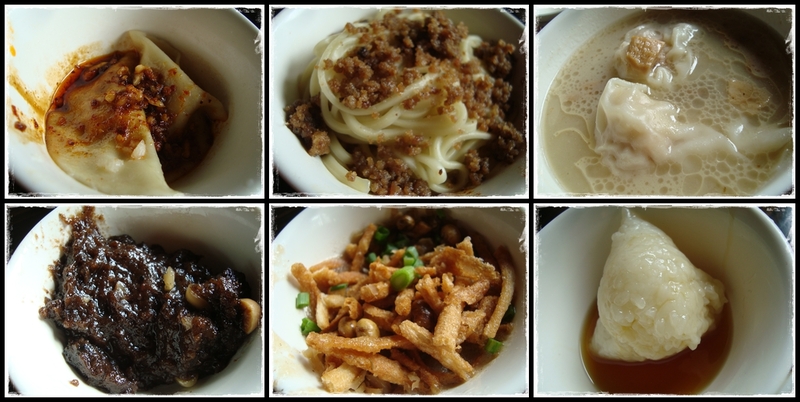 Sorry I can't remember the names of all these dishes. Rob invited us to his emu farm. 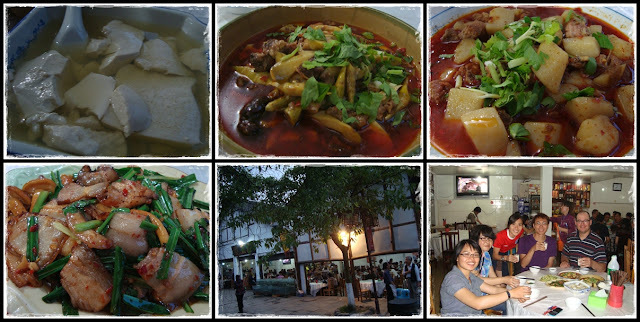 Had dinner at Pingle Ancient Town. 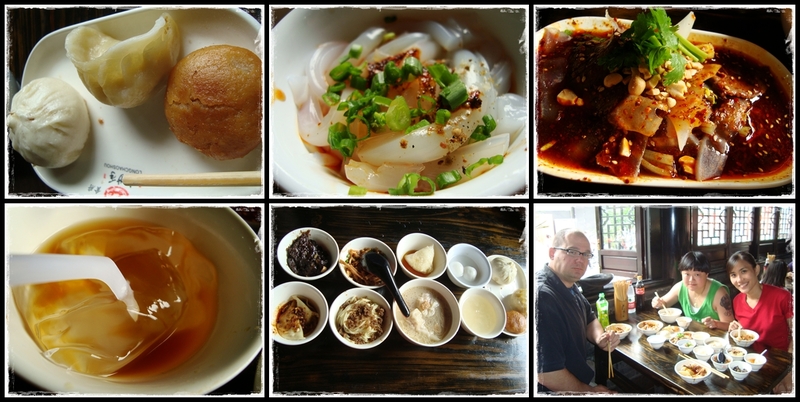 Rob was kind enough to host us for our last 2 days in Chengdu. We visited his new farm before going to the airport to catch my flight back to Malaysia.